2. Combine all ingredients and mix. Ensure that you microwave the coconut oil for at least 10 seconds to make into a liquid. 3. 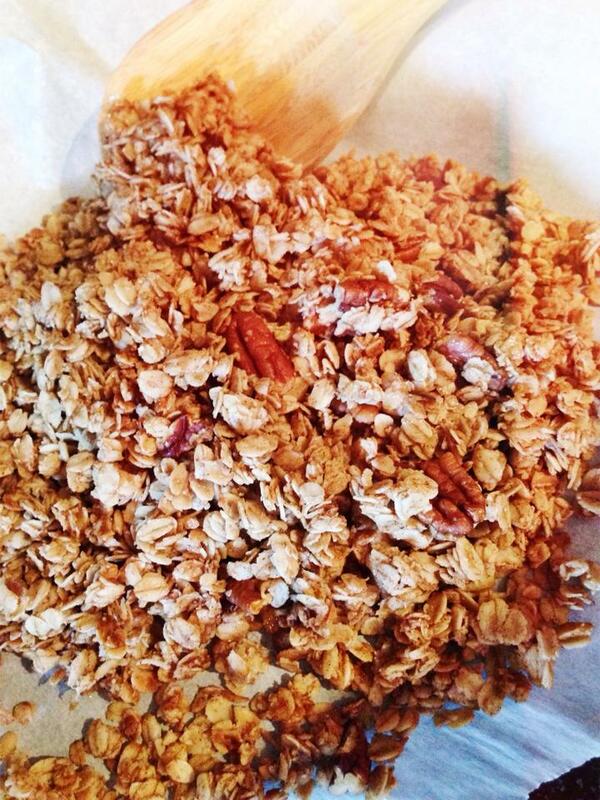 Line a baking sheet with parchment paper and pour the granola on the parchment paper. 4. Bake in the oven at 375F for ~25 minutes. Mix it around every 7 minutes with a spatula to get even browning. Enjoy on its own, topped on yogurt, in your cereal, however you prefer! For the love of flavonoids!